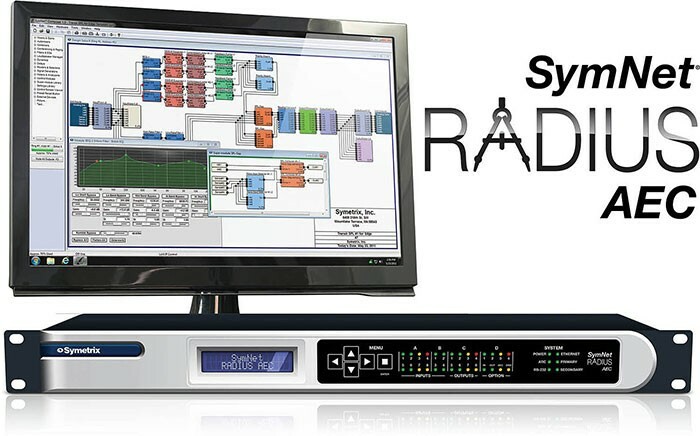 Symetrix has announced delivery of the SymNet Radius AEC, a core acoustic echo-cancelling device for deployment in teleconferencing installations of any size. 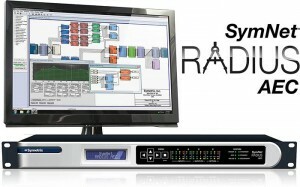 The 1U rack unit contains eight mic/line wideband echo cancellers, eight line outputs, and four auxiliary line inputs. Application specific input or output expansion of a single Radius AEC is facilitated with a configurable slot supporting any SymNet I/O card including the recently released 2 Line Analog Telephone Interface. Paul Roberts, Symetrix CEO was quick to point out: "We designed mega DSP into this box. In addition to the eight full-band, low-latency channels with direct outputs, we have a flexible general purpose DSP to handle all the other processing that is truly required to support high-intelligibility speech and effective communications. Corporate and educational end users are raising the bar every day. We purposefully designed Radius AEC to stay ahead of the curve."